THE portrait of Morton which stands as the top of the marble staircase in the Ibrox Main Stand is a testament to the esteem in which he is held. The winger was legendary manager Bill Struth’s first signing for the club in 1920 and what an acquisition he turned out to be. Despite a lack of stature – he was only 5′ 4″ tall – the former Queen’s Park man was one of the most devastating Rangers players of all time. Using his speed, control and balance to bemuse defenders, Morton consistently supplied his forwards with the service needed to fire the Gers’ goals. In his 13 years as a player with Rangers, the club won ten championships and two Scottish Cups and his 115 goals (and countless ‘assists’) from 495 matches were a huge factor in the team’s success. 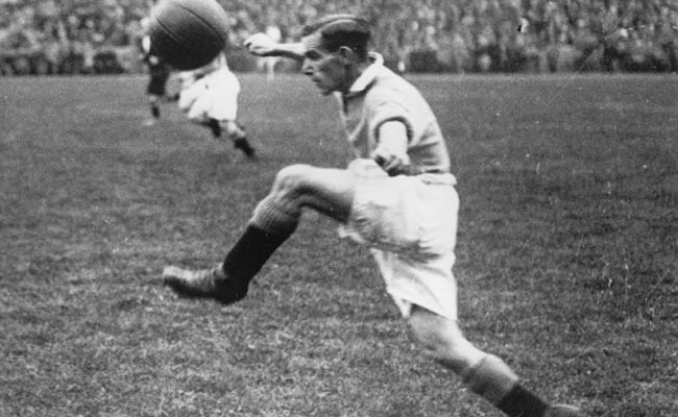 Morton was also a superb servant to Scotland and earned the nickname ‘The Wee Blue Devil’ after an exceptional display against England at Wembley in 1928. In all he played eleven times against the ‘Auld Enemy’ as part of his 31-cap international total.